NEW DELHI: The demand for non-traditional education is growing but there is a shortage ofqualified educational technology (ET) professionals and researchers. 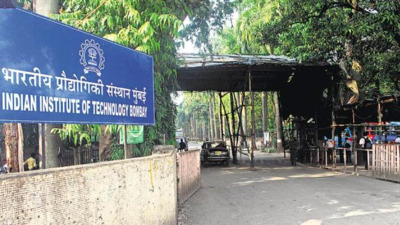 With an aim to bridge the gap, IIT Bombay will introduce M.Tech in Educational Technology (ET) programme from the upcoming session. “While the country is moving towards digital learning, there is a shortage ofqualified ET experts in various research labs, curriculum design roles in schools and colleges, industries for creating educational applications, training departments for online and remote trainings, and content creator industries for creation of technology-enhanced learning material and field implementation works,” says Veenita Saha, research-scientist and spokesperson, ET, IIT-B. The primary reason for this dearth is that ET is an emerging discipline and there are not many dedicated courses at the undergraduate or postgraduate levels. The programme will screen learners from diverse background with who have keen interest in improving technology-based teaching and learning. “Educational Technology is an interdisciplinary field. The broad objective of the programme is to build specialised ET workforce with student expertise in theories of learning and pedagogy, analysis, design, effective implementation and evaluation of learning environments, instructional design, research methodologies and translating research into practices,” says Sridhar Iyer, head of the department. The two-year programme will constitute course work, emerging educational technologies, research methods and statistics, designing learning environments and adaptive learning. It will also have on-field projects. The candidates will work on research that has been categorised into four areas, namely technology-enhanced learning of thinking skills (TELoTS), teacher use of educational technologies (TUET), educational data analytics (EDA) and emerging technologies (EmergE). Apart from lack of qualified ET professionals to design informed solutions to existing challenges in our education system, another is the effective integration of strategic pedagogy and technology. The graduates will find roles in industries that develop technologies supporting education such as learning management systems, adaptive learning systems and technology-based learning materials including e-books, interactive learning content, intelligent tutors. Whether it’s cancer diagnosis or keeping an eye on the rise of diabetes, or something as simple as digitising medical records for access anytime, anywhere – these healthtech startups are doing it all. From medical tourism to telemedicine, India’s healthcare sector has been expanding at a healthy double-digit rate to include newer and better services powered by new-age technologies. The problem, however, is not availability, but access to these services. For every 1,000 people, the number of physicians in India stands at 0.7 (less than 1), a metric that places the country way behind the global average of 1.5 physicians per 1,000 people. And then, there are only 0.7 beds per 1,000 people, compared to the World Health Organisation’s (WHO) recommendation of 3.5. Chief Executive Officer (CEO) of Flipkart, Kalyan Krishnamurthy, has had two stints at the e-commerce major. First, in May 2013, when he joined as the interim sales and finance head. Congratulations Trilok Sawant (SFIT Third Year ExTC Student)! NEW DELHI: The Indian Institute of Technology(IIT), Madras, topped the national ranking of higher institutes released by the Ministry of Human Resources Development (HRD) on Monday. The Indian Institute of Science (IISc), Bangalore, and IIT-Delhi ranked second and third in the list respectively. Of the top 10 institutes, seven are IITs. The Jawaharlal Nehru University (JNU) and the Banaras Hindu University ranked seventh and 10th respectively. The Delhi University's Miranda House was ranked the best among colleges across the country, while the varsity's St Stephen's College was ranked fourth. The HRD Ministry has been publishing the National Institutional Ranking Framework (NIRF) since 2016. Waiting for results after an exam, especially if it is the Union Public Service Commission (UPSC), can be stressful. But, for those who managed to clinch the top five positions in the UPSC examination, the declaration of the results came with a healthy dose of happiness making the months of tension and sacrifice worthwhile. The UPSC issued statement states that the Commission has recommended a total of 759 candidates (577 men and 182 women) for appointment to various services like IAS, IPS, IFS and the allied services. This year’s UPSC topper is a data scientist and the data science community is going gaga over it. When Kanishak Kataria was declared to be the topper, he thanked his parents, sister and girlfriend for the help and moral support, and one thing that came as an instant identifier was that he is currently a data scientist at qplum, Bengaluru, which is an online investment advisory firm, offering AI and machine learning based portfolios. "LIRC@SFIT"is the official blog of the Learning and Information Resource Centre of SFIT, Borivali. Navigate the site to find out more. The library team is thankful to each and every library visitor. And we ask you for your continued support in the form of feedback or gripes! Point your browser to our library webpage for more details! Display of Books and Magazines on International Women’s Day in Library from 6th March- 10th March 2017. The library of SFIT, Mumbai, Maharashtra has an excellent collection of books, periodicals and a variety of services, acts as a support to the Teaching-Learning Process of the Institute. The Mission of the SFIT Library is to cater to the needs and interests of its academic community by providing recorded information and thought. Closed on 2nd. and 4th. Saturdays of every month. Share book reviews and ratings with Sfit, and even join a book club on Goodreads. The Blog is maintained by Chinmayee Bhange, Librarian, SFIT, Mumbai. E-Mail: sfitlibrary@gmail.com. Simple theme. Powered by Blogger.